Students at the Center for Digital Imaging Arts at Boston University are taking the first steps toward the creative, exciting careers they've always wanted. Through intensive, hands-on training and experience, students get the necessary skills and learn the latest in photography, digital filmmaking, 3D animation, graphic and web design, audio production and web development. Most importantly, after a CDIA education students are able to use everything they've learned in the real world. Now. 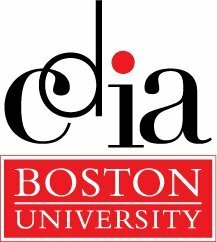 At CDIA, students are part of a vibrant, growing community focused on artistic expression and viable careers. Whether they are novices choosing a new career or seasoned professionals enhancing their skills, CDIA is dedicated to providing the best education possible. Even after graduation we'll remain a valuable resource--through networking, new business opportunities, updates on developments in the field or access to our state-of-the-art facilities. Full- and part-time certificate programs are available at our Waltham, MA and Washington, DC campuses.